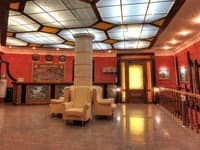 Three-room apartments are located in the center of Kiev, in a 5-minute walk from “Maydan Nezalezhnosti” Square. 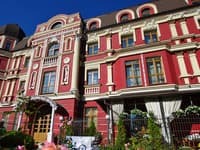 The apartments are surrounded by the main attractions of Kiev. "Business card" of our European level apartments is elegance, comfort, and beauty. The apartments are located on the 5th floor of a seven-story building with marble steps, sensor lighting and European standard quality repairs. There is everything you need for a comfortable stay. The apartment features home theater, import tile, fitted-in kitchen and double-glaze windows. Free Wi-Fi is available. Distance to train station is 5 km, to the airport - 35 km. 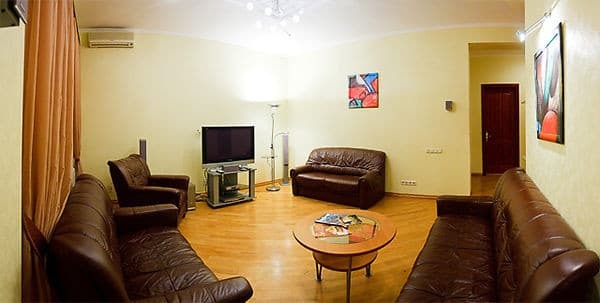 Description of the room: Elegance, comfort, sophistication and beauty are the "visiting card" of three-room apartments of European level located in the city center. The apartments are located on the 5th floor of a seven-story building with a code lock and a clean front door. Quality renovation of the apartment was carried out taking into account all European standards. 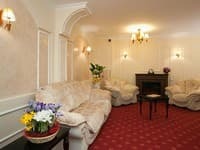 Here you will find everything you need to make your stay as enjoyable as possible. Удобное расположение апартаментов,вежливый персонал.В целом удачное место для тех кто останавливается в командировке. 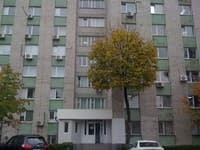 Квартира очень прокурена и плохо убирается, а также отсутствие какого либо места для парковки автомобиля.Необходима генеральная уборка ну и устранение всяких мелочей(один пульт для кондиционеров,замена батареек в пультах,замена лампочек). Check arrival: from 20:00 - 21:00 hours. Check leaving: to 12:00 - 13:00 hours. Our staff will be happy to assist you daily from 9-00 to 20-00. 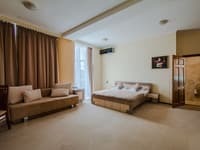 Apartments are located in the center of Kiev, in a 5-minute walk from “Maydan Nezalezhnosti” Square and Khreschtyk street. Distance to train station is 5 km, to the airport - 35 km.